YDEKC continues to represent you and speak to the issues that address supports for children, youth, and families in King County. We are reaching for new opportunities in 2019 and thank you for your continued engagement and work on behalf of our communities and their young people. We had an incredibly successful Advocacy day, in partnership with School’s Out Washington and SOAR, on January 15th in Olympia! Over 130 youth and adults came to advocate on issues ranging from the Youth Development Work Group to expanded learning opportunities and youth engagement. 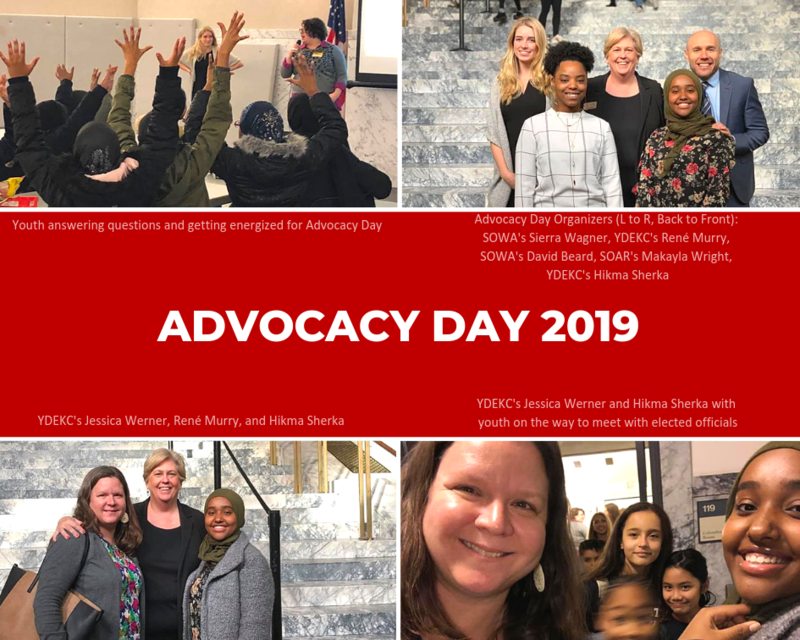 A tremendous thank you to all who made the trip–we’re excited and are already forming many new ideas for Advocacy Day 2020! Bills SB 5665 and HB 1644 for the Youth Development Work Group are still moving though session. Sign on here to show your and your organization’s support for the Work Group and to hear more as opportunities to act and advocate arise! YDEKC is a member of the Washington Expanded Learning Opportunities Network. Our guiding principle is “Young people’s education doesn’t stop when the school day ends; neither should their access to high-quality learning opportunities. Quality expanded learning opportunities build lifelong skills, improve academic performance, and inspire young people to discover their individual passions. When expanded learning is supported to complement the school day, our state can narrow the opportunity gap and develop tomorrow’s leaders.” Learn more and join the Network here! Bills pertaining to the account were heard in the House and Senate earlier this week to preserve and protect the PSTAA funds. We are actively supporting these bills and may have requests out for emails and phone calls as action alerts to you in the coming weeks. Preserving these funds means revenue for educational supports (broadly defined) for foster, homeless and vulnerable youth along the Sound Transit 3 corridor during the build of ST3. This has potential for $315 million of revenue to King County over that time period. King County has recently created a website with links to consultant reports and other PSTAA information available here. The website features their new PSTAA Timeline, outlining a review panel process to provide Council with additional information about unmet equity needs in King County’s educational systems, 12 community meetings, consultants’ funding analysis, Council funding allocation, designing of an implementation plan, and an RFP development and release process. YDEKC is planning Advocacy Conversations on Go To Meeting in April and June that will focus on policy issues. We hope to give you an opportunity to have you hear a brief 101 about the issue and a chance for questions and conversation! Policy topics and details coming soon. YDEKC has several members currently serving on SHSC. Steve Daschle from SWYFS is co-chair of the coalition, Shoshana Wineberg from YouthCare is co-chairing the city budget task force, Hikma Sherka YDEKC’s Policy Research Assistant is serving on the committee for the Human Services Awards and Richard Finley from the Boys and Girls Clubs of King County will be serving on the committee to plan the city council candidates forum this fall. A new coalition is forming on the North end of Seattle, for all providers north of the canal. YDEKC has been represented on the planning and steering committee for the past 18 months. Erica Mullen, new Executive Director of the Bureau of Fearless Ideas, will be joining the newly formed committee to move the coalition forward and help to bring up youth issues in North Seattle. Check out weekly reviews and updates of the legislative session from Partners for our Children! The most recent is available here. The archive is available here. 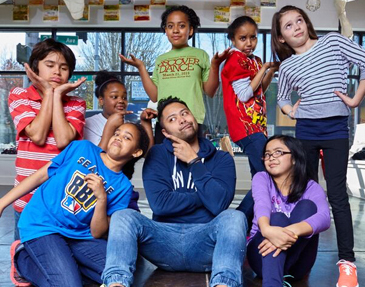 Copyright © 2019 Youth Development Executives of King County, All rights reserved. Youth Development Executives of King County (YDEKC) is a coalition of youth-serving organizations working together to improve outcomes for young people.